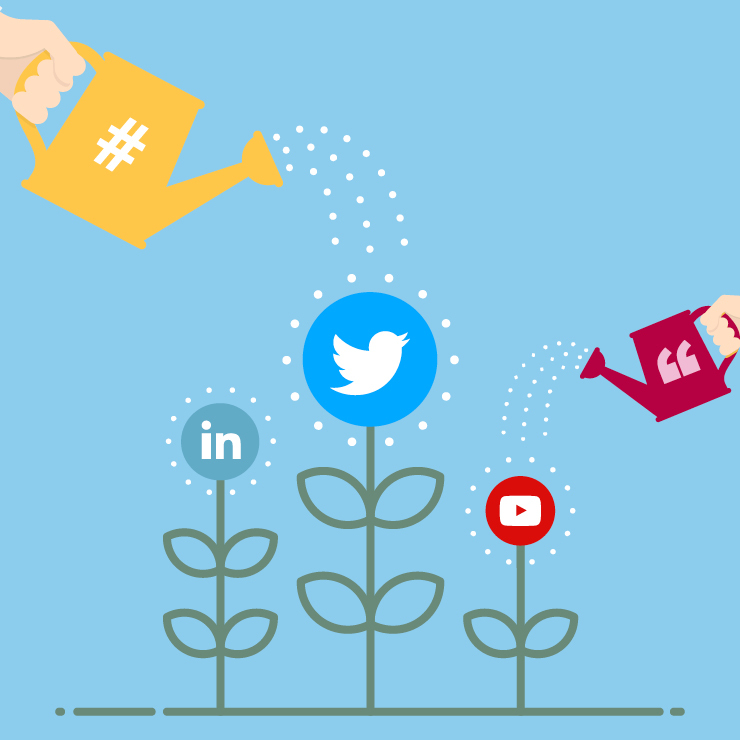 “How do we grow our social media followers?” … It is a question we encounter on a near daily basis here at Shrewdd Marketing. The truth is, there is no ‘quick fix’ solution when it comes to growing your following, but in this blog, we outline some proven tactics you can implement into your social media strategy in order to help boost those all-important follower figures. Today, more than ever, businesses must work harder to cut through the noise in order to get their voice heard, especially on platforms like Facebook which announced plans to demote business, brand and media posts in the news feed shake up. This is easier said than done, and achieving objectives such as; increased brand awareness, visibility and leads can become a difficult and time-consuming task, especially, if nobody is seeing your posts. However, simply having 5,000 Twitter followers or 10,000 likes on your Facebook company page is not necessarily the best indication of social media success. Instead, your business should focus on growing a following of relevant industry professionals that could have an impact on your business. One size DOES NOT fit all when it comes to posting on social media, each network has specific times when active users’ levels are high. On Facebook and Twitter, the best time to post is between 1pm and 4pm, as many people scroll through their newsfeeds on lunch breaks. On LinkedIn, however, the peak time is midweek just after business hours, between 5pm-6pm. Understanding when to post, therefore, can make a sustainable difference when it comes to impressions, likes and most importantly engagement levels. People love to be rewarded for their actions. Offering an incentive is an easy, yet effective way to build followers – this can be in the form of a discount, promotion or competition. With incentives, such as competitions you can set up like-gating, which requires individuals to like your page in order to be entered, enabling you to build followers. As a B2B company, thinking of a competition prize can be difficult, unlike B2C you might not have a product or service that people would want to win. To generate ideas, conduct some research into your key target audiences and see what they would be interested in winning, this doesn’t have to be something that directly relates to your business. Valuable information holds the key to success on social media. People want to able to learn something new from your content, therefore, you should focus on being an ‘informer’. You can achieve this by commenting on industry news, sharing company updates and getting involved in relevant trending topics. Although it can be tempting as a business to simply discuss your product and service offerings, you should be careful how you approach this. As a business, you want to avoid posting ‘salesly’ messages that will only drive followers away, instead focus on educating, informing and ultimately offering solutions to your follower’s problems. 10 years ago, the hashtag was simply a computer key, now it is fundamental to social media and holds the key to visibility, brand awareness improving your SEO ranking­. When you use a hashtag you’re essentially putting your post in a category, allowing people searching for or using the hash tagged word to find your post, boosting SEO efforts. Incorporating hashtags into planned content can help your business reach a wider audience, increase engagement and gain followers. On Twitter, you can find out trending hashtags by utilising the trends section on the left-hand side of your newsfeed, this displays the most talked about topics in any country of your choice. It is a good idea to get involved in these (if relevant) as it increases visibility, leading to higher levels of engagement and more followers. On every social media platform, analytics tools are available, enabling you to track profile performance – from followers gained, visitors to your profile and levels of engagement. So, what does this have to do with building followers? Analytics tools can help you understand which content resonates most with your followers and encourages them to engage with your platforms. Equally, and perhaps more importantly, you can also gauge which content has not been successful, enabling you to adjust your social media strategy accordingly.